A farm field in southwest Wisconsin on July 3, 2014. §S 10.05.225, .615, .702 (1962 & Supp. 1982). Repealed in 1988: It used to require corporations to report the name and address, percentage of outstanding shares and a description of the nature of the relationship between each corporation and its alien affiliates on their articles of incorporation, applications for certificates of authority and biennial reports. Corporations must file a notice of change if there is a change in alien affiliates. No more than 160 acres of public agricultural land or 640 acres of state grazing land can be purchased by an individual, corporation or association. Corporations that aren’t registered to conduct business in the state also can’t purchase state land. Any foreign party (person, foreign-owned business, foreign agent/fiduciary/trustee) that acquires interest in agricultural land must register with the county clerk in the county where the land is within 60 days. Acquiring land in repayment of a debt/mortgage is permitted for foreign entities. They still have to register with the county clerk though. Violations should be reported to the attorney general. If the court finds the land in violation, it must be divested within 2 years. Also, the court can then charge a fee of up to 25% the market value of the land. For a resident alien that ceases to be a resident, they have two years to register or the enforcement/punishment is the same as above. Agricultural land acquired for non-farming purposes is not subject to the registration requirements. California had an alien land law, restricting noncitizen land ownership that was repealed in 1952. Only citizens, or people with intent to become citizens or people whose country grants reciprocal rights for U.S. citizens, can lease public land or obtain a prospecting permit. This also applies to corporations in which less than 90% of its ownership falls under the above provisions. A person can’t purchase public land for farming unless they’ve been a resident of the state for 3 years. If in violation, the secretary of state reports to the attorney general who notifies the courts of the county in which the land is located. No more than $2000 in fines. All corporations have to report acquisition of agricultural land over 10 acres to the secretary of state, or they can be charged with a Class A Misdemeanor. Aliens (anyone who is not a permanent resident or citizen) of the U.S. and non-American corporations are forbidden from acquiring agricultural land. 80% of each class of stock issued must be owned by citizens or permanent residents. Resident aliens can acquire and inherit land. Nonresident aliens cannot acquire land. To collect or secure a debt (20-year limit on holding land); citizens of Syria or Lebanon may inherit property; acquiring 320 acres for the purpose of industrial development and 5 acres for residential development. Does not apply to corporations with alien ownership. Instead of requiring the director of the dept. of ag to approve sales, purchasers can now proceed with sales/transfers by simply filling out a W-9. This is a bit confusing because 442.592 still details a reporting requirement within 60 days for ownership or sale/transfer. non-residents/citizens and corporations created outside of the U.S. can acquire/own/hold/devise real estate by grant, purchase, devise or descent. Agricultural land is the only exception. “Agricultural land” is defined as land in Missouri that is more than five acres which can support agricultural enterprise without significant changes to the character of the land. If two pieces of land under the same owner are adjacent to one another, they count as a single tract of land. “Foreign business” is defined as any business in which a controlling interest is owned by nonresidents. 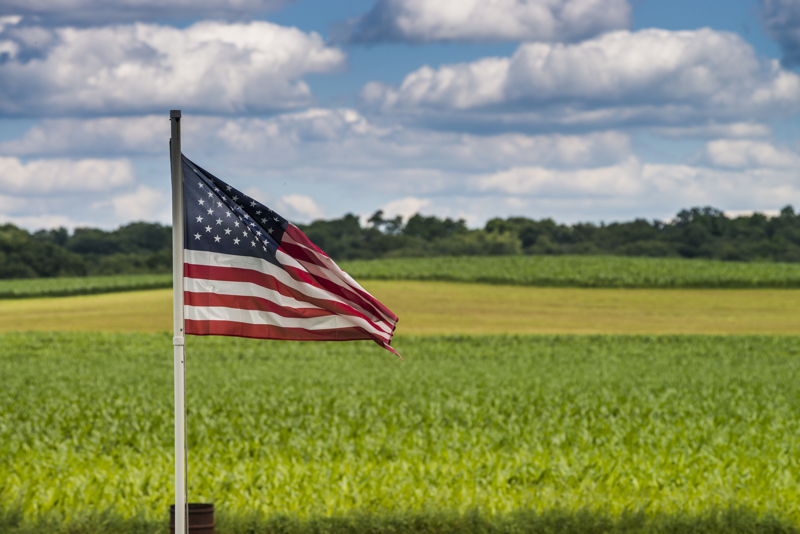 nonresident/foreign businesses can’t acquire agricultural land if total aggregate nonresident/foreign ownership exceeds 1 percent of state agricultural acreage. Also, sales and transfers only need to be submitted to the director of the dept. of ag for review if the purchaser doesn’t sign a completed W-9 form. Otherwise, acquisitions through grant, purchase, devise, descent, or otherwise must be submitted to make sure the 1 percent restriction is met. None of this applies to resident aliens. They have 2 years to divest if they cease to be resident aliens. This also doesn’t apply to someone wanting to use agricultural land for non-farming purposes or someone leasing to a family farm unit/corporation. Farming and ranching by limited liability companies and corporations is prohibited; there are exceptions, and there are annual reporting requirements to the secretary of state for companies who fall under those exceptions. Corporations can amend their articles of incorporation to become a farming or ranching corporation, but they must comply with the provisions of the chapter. Only citizens or persons who have applied for citizenship can purchase state land. Aliens can take, hold, transmit and convey real estate in the same way as citizens. Aliens and foreign-owned corporations can’t own more than 500,000 acres of land. Aliens are not allowed to acquire more than 160 acres of agricultural land, unless it’s inherited or “as a security held for indebtedness” or as secured by a treaty. If land is inherited, they have three years to sell it/give it away. Land in violation is forfeited to the state. The attorney general has 3 years to enforce that forfeiture. The AG monitors AFIDA reports biannually to look for violations. If agricultural land is purchased by a foreign corporation for non-farming purposes, the law does not apply. The land may not be used for farming pending development for non-farming purposes unless it is leased to a family farm unit, a family farm corporation or an authorized farm corporation. No corporation (foreign or domestic) can engage in farming or acquire farm real estate. The attorney general enforces this law. Failing to file can incur a fine of up to $1000. Removed acreage limits on foreign investment in energy, mining, manufacturing and mercantile on 710.02. Nonresident and foreign companies can’t own more than 640 acres. Also, restricts companies and trusts with more than 20% of their stock, securities or other indications of ownership held or owned by alien/foreign companies. This applies to land acquired from 1982 onward. No more than 15 shareholders/beneficiaries; no more than 2 classes of shares; all shareholders have to be people, not businesses, etc. Aliens can’t acquire property unless their home country allows U.S. nonresidents to acquire property. The only exception is one acre or less, used as a personal residence. Violators will be charged with a felony and up to $5000/5 years in the state penitentiary.